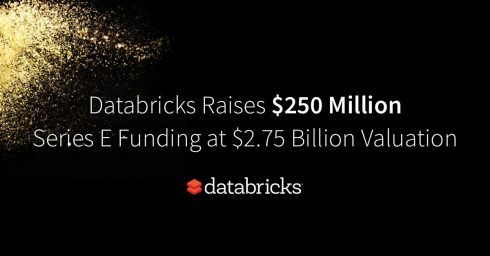 Databricks announced a massive Series E round of funding for $250 million, bringing the company’s total amount raised to $489.5 million. According to the company, this could not be possible without its Unified Analytics Platform. The platform is designed to help enterprises build data pipelines across siloed data storage systems and make data science on massive data sets more accessible. In addition, it provides a collaborative platform for data science and engineering teams to communication. “What’s driving this incredible growth is the market’s massive appetite for Unified Analytics. Organizations need to achieve success with their AI initiatives and this requires a Unified Analytics Platform that bridges the divide between big data and machine learning,” said Ali Ghodsi, CEO and co-founder of Databricks. In an effort to improve user security on Google and in apps, Google has announced it will be opening Cross Account Protection (CAP) to developers of Google Sign In. According to the company, the reason why it is focusing on sign ins is because it can extend all security protections of a Google Account. CAP is built on Internet standards, risk and incident sharing and coordination, and security events developed by Google in conjunction with the OpenID Foundation and IETF. “CAP is a simple protocol that enables two apps to send and receive security notifications about a common user. It supports a standardized set of events including: account hijacked, account disabled, when Google terminates all the user’s sessions, and when we lock an account to force the user to change their password. We also have a signal if we detect that an account could be causing abuse on your system,” Google wrote in a post. H2O.ai announced significant improvements to its platforms H2O, AutoML, and H2O Driverless AI. The new improvements are designed to provide critical scalability and performance for users as well as continuing the company’s mission to democratize AI. The company also held a conference in San Francisco this week where it announced a number of new partnerships. The company will be teaming up with Intel on bringing artificial intelligence to the Enterprise. H2O.ai and Alteryx will collaborate together on advancing data science workflows, and Kx and H2O.ai will work on faster insights on time-series data. Ma[R’s updated version of MEP is designed to give developers and data scientists more ways to access data and build AI/ML, real-time analytics and stateful containerized applications. Signal Sciences has announced new funding to continue its work in the web application firewall market. The company will use the funding on next-gen WAF and runtime application self protection solutions.